There are as many TV wall mount products as there are many ways to skin a cat. While that is a bit of an exaggeration, the fact of the matter remains that there are so many of these products in the market today. Swimming through all of the available products claiming that they are the perfect TV wall mount is definitely an exercise in futility. Simply because there is no “perfect” TV wall mount, like there is no perfect TV set. However, there is the best TV wall mount. Not the best for everyone, but the best for someone. The right way to proceed then is to list the pros and the cons. But before that, let us talk about the company and the product first, in general terms. VideoSecu is a manufacturing company that is based in Carrolton, Texas. They offer a lot of products, but in one specific niche. They specialize in making TV mounting brackets and CCTV video security products. They service both residential and commercial clients. 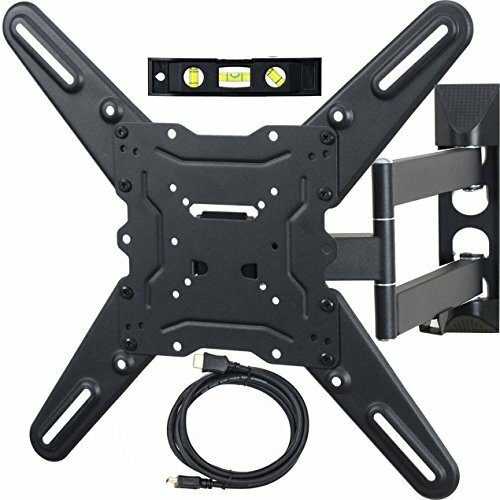 This product, VideoSecu ML531BE TV Wall Mount, is actually one of their bestsellers on their website. They have tagged it as an Articulating, Tilting and Low Profile wall mount. That means that it is a pretty good combination of all the different kinds of TV wall mounts, making it quite versatile. Let us move on to the features of this bestselling TV wall mount. Can carry most TV sets measuring between 22 inches to 55 inches. Weight capacity is 88 pounds. Attaching of this mount is available to a single stud only. Uses the VESA standard for its screw holes. Screw hole sizes most if not all available measurements. It can be from 100 x 100 to 400 x 400 millimeters. This wall mount can also tilt +15°/-5°, which means it can tilt 15 degrees up or down. It can also swivel considerably well; swivel mechanism is capable of supporting the TV set up to 180 degrees to the left and right orientation. This wall mount is also categorized as low profile, meaning that it is fixed or stationary. This means that while it can be adjusted to the desired direction of where the mounted TV set is to be viewed, the wall mount itself is fixed and can no longer be moved unless it is unmounted. This mount, due to the mechanism behind the steel rod connecting the bracket and the TV holder, can be retracted up to 2.2 inches. It can also be extended up to 20 inches from the wall. The wall mount has quite a number of extra accessories. An HDMI cable and a 6 inches 3-axis magnetic bubble level goes together with this wall mount. This wall mount is 13 x 10.6 x 2.5 inches and has a weight capacity of 88 pounds. This TV wall mount’s weight is about 9.4 pounds. Virtually all of the VESA standard measurements and requirements can be serviced by this wall mount. This means that most, if not all, of the TV sets made by known TV manufacturers could potentially be mounted to this product. The design is very simple and straightforward. You can see the hook, which is on the upper part of the center opening. The lock screws are quite easy to spot. The swivel is also clearly seen behind, after the steel base. The simplistic design not only makes adjustments easier for you to find and do, assembling the wall mount is also a breeze! Even beginners can do it properly. The instructions are actually very easy to understand. Drawings of the parts and what to do are present. The instructions manual is only six pages long as well. It is very direct to the point, making sure that no confusion can arise. For its size and weight, it can carry 88 pounds. That is a high measurement to weight ratio. 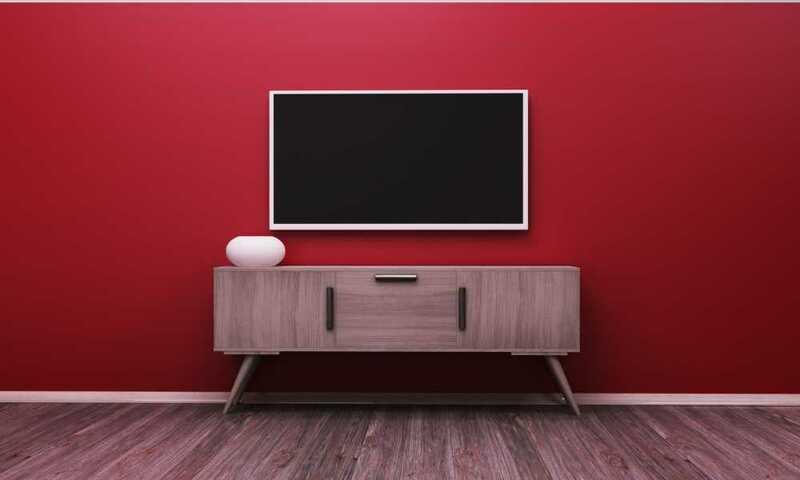 For the wall mount’s measurement in relation to the size of the TV set it can hold, it is above average; it can carry TV sizes from 22 to 50 inches. It can be extended 20 inches from the wall. It can also be retracted up to 2.2 inches. Other wall mounts cannot extend that long, and the average range is within 14 to 16 inches. That is a very big saver of space, especially for packed homes. It requires only one stud to mount. Some homes have two studs at the least. One can always attach another surface like a wooden board to accommodate this wall mount. While it is capable of handling 88 pounds, TV wall mounts in the similar market focus can go higher, with some capable of carrying an extra 10 pounds. The VideoSecu ML531BE TV Wall Mount is a great product, especially for first-time buyers. It is easy to set up and is sturdy. This would work best for those who have a pillar or a sturdy centerpiece where a TV can be attached. This is perfect for those who are looking to save space and still have a great viewing location.